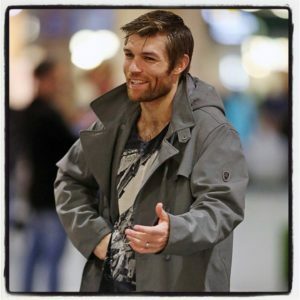 We saw his brother in the series pilot, and now, the actual Weather Wizard – Mark Mardon – will be making his way onto The Flash for episodes 15 and 16. 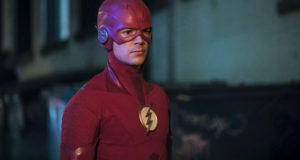 Mark Mardon, brother to Clyde Mardon, returns to Central City to get justice for his brother’s untimely death. Mark uses his powers, similar to Clyde’s ability to control the weather, to go on a rampage to find the man that shot Clyde…Joe West. Interesting to note: Chad Rook, who played Clyde Mardon, has been seen on The Flash set as well. Hmmm…. Anyway, clearly the notion of casting “everyone from Spartacus” continues… not that there’s anything wrong with that! 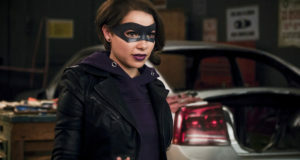 Previous: Flash Spoilers: “Revenge of the Rogues” Description – A Prison Break Reunion! 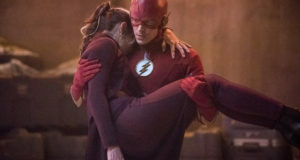 Next: The Flash Wins Best New TV Drama At The People’s Choice Awards!